MARINE SILICONE RUBBER adheres to fiberglass, glass, metal and wood. Stops leaks and waterproofs. Seals ports, thru-hull fittings, hatches, windows, topside fittings. New, low odor "De-Skunked" formula. Superior adhesion. Not intended for continuous underwater use. Color: Clear. InTube. 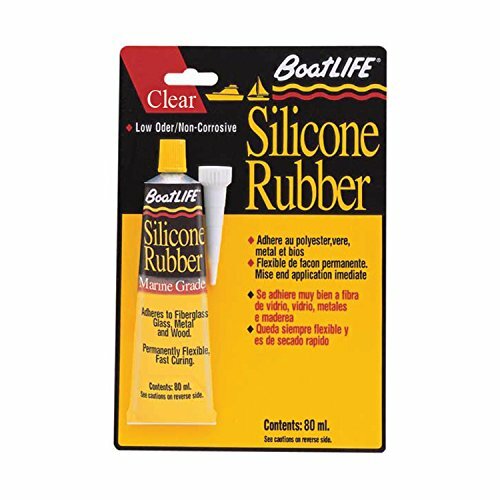 If you have any questions about this product by Boatlife, contact us by completing and submitting the form below. If you are looking for a specif part number, please include it with your message. J-B Weld 40007 Wood Restore Premium Epoxy Putty Kit - 64 oz.